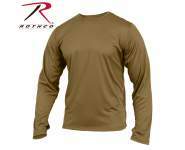 Level Two of the ECWCS (Extended Cold Weather Clothing System) Rothco's Mid-Weight Thermal underwear bottoms are an essential base layer for military and tactical professionals. Level Two of the ECWCS (Extended Cold Weather Clothing System) Rothco's Mid-Weight Thermal underwear bottoms are an essential base layer for military and tactical professionals. 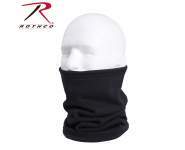 The highly breathable, moisture-wicking polyester and spandex material is designed to protect from the harshest elements. Rothco’s mid-weight underwear bottoms feature an elastic waistband and access fly. 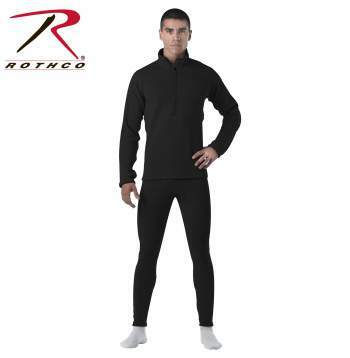 Rothco's base layer underwear bottoms feature a grid fleece fabric which is anti-odor and anti-microbial for long-lasting wear.